Older patients who have lost some of their teeth may fare better with bridges that supply only the essential teeth than with dentures, researchers reported at the International Association of Dental Research (IADR) 90th General Session and Exhibition, underway in Iguacu Falls, Brazil. In a study of 88 partially dentate patients, those with bridges improved by 7.88 points on the Oral Health Impact Profile, whereas those with dentures improved 6.9 points. A 5-point improvement is considered the minimally important difference. The group with bridges also had lower healthcare costs than the denture group. The study was meant to explore the notion that patients can live comfortably without molars, which is known as the "shortened dental arch" concept. 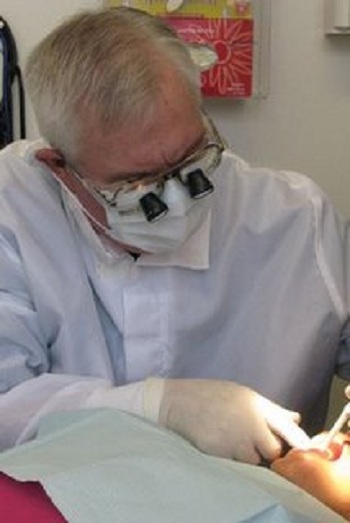 "By preserving strategic teeth in the front of the mouth, you're able to provide patients with the number of teeth that are functional and esthetic and able to be maintained and kept clean," lead research Gerald McKenna, BDS, PhD, a lecturer at Cork College University in Ireland, told Medscape Medical News. The approach may hold promise as the needs of older patients change, said Dr. McKenna. "More and more of our patients are hanging on to their natural teeth longer and longer," he said. A dentist in Coalinga has been charged in connection with the death of his own son. It's a story Action News first told you about more than a year ago. Court documents show Dr. Allen Clare used a different treatment on his son than he'd ever used on any other patient. Patrick Clare, 35, went to his father's office to get a tooth pulled. He had to be taken away in an ambulance and was declared dead minutes later. Dr. Clare has been charged with practicing dentistry without a valid license. Dr. Clare told investigators he gave his son two shots of valium and two shots of morphine to deal with the pain of the procedure. But an assistant told investigators they had never before used morphine with a patient. Marieve Rodriguez, who had negotiated a plea agreement that only called for home confinement, broke down after Superior Court Judge John A. Parkins Jr. announced the sentence. She had to lean on one of her attorneys to remain standing. Rodriguez, who operates Gentle Care Family Denistry on Gilpin Avenue, Wilmington, will lose her medical license for a year. Her sentence also includes a $100,000 fine, repaying prosecution costs of $49,000, paying $71,900 restitution, and 600 hours of community service. Parkins gave Rodriquez until Aug. 10 to report to prison, though during the interim she will have to submit to GPS monitoring. A disclaimer: I do not own stock in Starbucks nor, to my knowledge, in any other company that sells coffee or its accouterments. I last wrote about America’s most popular beverage four years ago, and the latest and largest study to date supports that earlier assessment of coffee’s health effects.